Guided walking tours in English, Deutsch, Français. 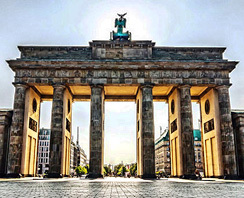 World War II and Cold War Tour: Includes Checkpoint Charlie, the Topography of Terror, Potsdamer Platz, the location of the Führer Bunker, and leads along the Wall trail straight to Brandenburg Gate. Royal & Imperial Berlin: Berlin under the well-nigh 500 year lasting rule of the Hohenzollern dynasty. 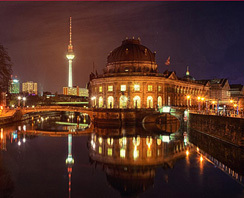 This tour includes the State Opera, Neue Wache, Museum Island, Humboldt Forum, Berlin Cathedral, Gendarmenmarkt. Exploring Jewish Berlin: Starts at the Hackesche Höfe, and covers Otto Weidt’s Workshop for the Blind (where he hid Jews from deportation), the Jewish Girls’ School, the New Synagogue, ending at the Rosenstrasse Memorial. The focus on this tour lies on the years between 1933 and 1989 with brief excursions to the years before and after. This tour covers: Checkpoint Charlie, the Topography of Terror, the Martin Gropius Building, the former Reichs Ministry of Aviation, Potsdamer Platz, the location of the Führer Bunker, the Holocaust Memorial, ending at the Brandenburg Gate. And for all David Bowie fans, there’s even the option of a stop at the famous Hansa Studios, where Bowie recorded his legendary Heroes album. 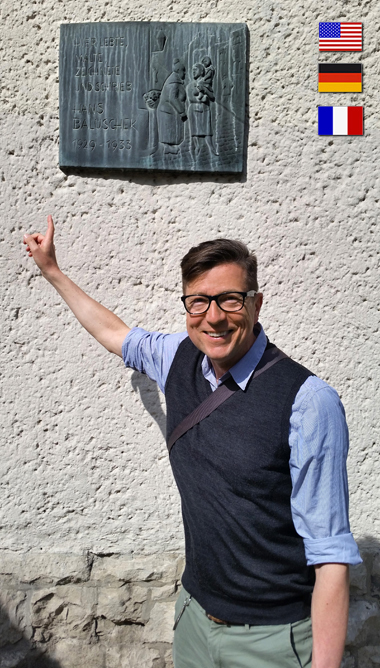 This tour is for everyone interested in 20th century German history. This tour covers all the Berlin highlights of the 5 centuries when Prussia was ruled by the Hohenzollern dynasty, including a string of architectural masterpieces by Schinkel (Neue Wache, Altes Museum, etc. ), as well as the newly renovated State Opera, Bebelplatz (where on May 10, 1933, the infamous book burnings took place), the Barenboim Said Academy Building, and of course, Museum Island. If you want to learn more about 18th and 19th century architecture in Berlin or the merits and wiles of King Frederick The Great, this tour is for you. A 3-4 hour walking tour through an area populated by many Jews until the Nazis forced them into exile or deported and murdered them. On this tour you’ll see the Hackesche Höfe, what would have been Berlin’s oldest Jewish Cemetery, the New Synagogue, Otto Weidt’s Workshop for the Blind, Moses Mendelssohn’s tombstone, the Missing House, the Koppen Platz Memorial, the Rosen Strasse Memorial, a former Jewish Girls’ School (now converted into a swanky eatery plus a kosher deli). 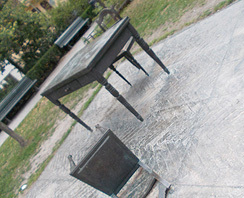 Interested to learn more about Berlin’s Jewish heritage? Then don’t miss out on this tour!